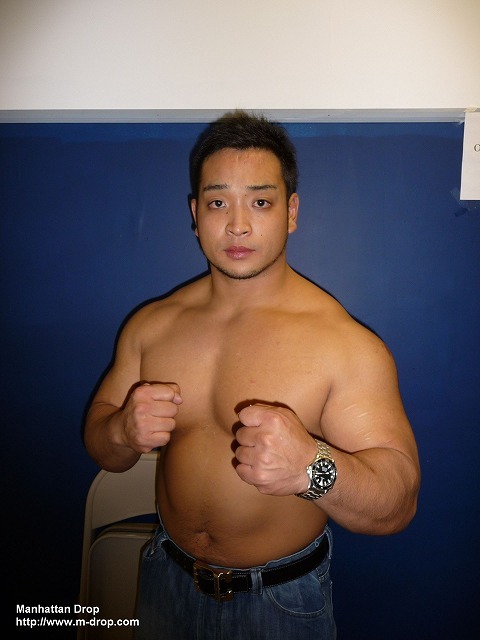 Sekimoto debuted on August 10, 1999 for BJW (opponent was Ryuji Ito) in his hometown Osaka. He also entered into death match world from 2005. He teamed up with Abdullah Kobayashi and retained BJW World Tag Team Championship over Jun Kasai & Jaki Numazawa by 250 fluorescent bulb death match. Later, he retained the title by team up with Mammoth Sasaki, Yoshihito Sasaki etc. He also wrestles for major promotions and received Technical Award from Tokyo Sports Pro-wrestling Award in 2007. He is considered to be one of the future of pro-wrestling in Japan. Sekimoto came to US to wrestle for Chikara for 2 days in October. We had a quick interview with him as we would like you to know him better! He is the future of wrestling. Really. 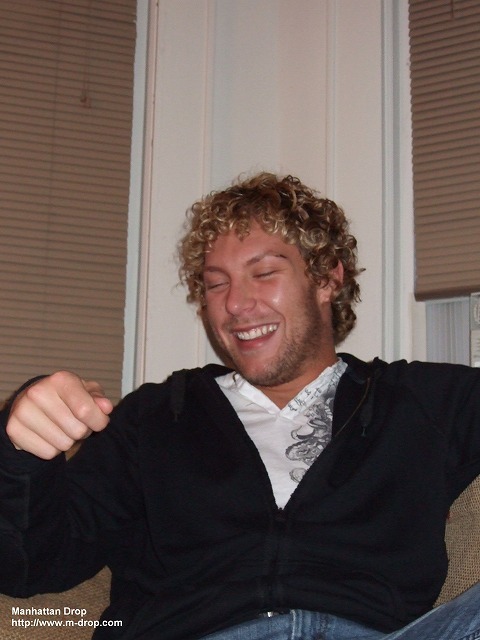 – How many years are you in pro-wrestling? –10 years?! Actually we’ve been watching you since your debut. (Sekimoto) Really? Thank you very much. –Please tell us how you got into pro-wrestling. (Sekimoto) I went to see All Japan Pro Wrestling to Osaka Furitsu Gym when I was in junior high school as it was very close to my home, then I got hooked by wrestling at once. I wanted to be a wrestler since then, and I was introduced to Mr.Uwai (who was in NJPW then) from my father’s connection when I was in high school but he told me to train at Animal Hamaguchi Gym for 3 years as I was not tall enough to be a wrestler. I thought I couldn’t wait for that long as I really wanted to be a wrestler as soon as possible. Incidentally I was in a baseball team in high school but the manager was a friend of Great Kojika (who is a president of Big Japan Pro Wrestling). My manager told me “If you want to be a pro-wrestler, I will introduce Great Kojika” so I met him and talked about my passion to be a wrestler. Then he told me to come to BJW right after I graduated from high school. I said yes to him but I thought it was just a courtesy invitation as I was not tall enough to be a wrestler. Anyway I joined BJW after I graduated from high school and became a pro-wrestler. –So you really wanted to be a wrestler in any way? (Sekimoto) Yes. I couldn’t think of anything else but to be a pro-wrestler. –But you were in a very strong baseball team (his high school team was considered to be one of the best in high school baseball). Have you ever thought about going to college for baseball? (Sekimoto) Actually I didn’t practice baseball that much!! –But you liked baseball so that you were in baseball team, correct? –We heard you did not practice for baseball but did weight training all the time. Is it true? (Sekimoto) Yes, it’s true LOL. Current sumo wrestler champion, Asashoryu, was in my high school and we always got along together and trained together most of the time. –You mentioned you are interested in American pro-wrestling. Why are you into it? (Sekimoto) The first wrestlers I was impressed was American wrestlers so I have an image American wrestlers are very strong. I was a huge fan of Terry Gordy and Steve Williams Tag team. When I played prowrestling video game, I played Gordy & Williams and beat my friends so badly at that time! –We heard you are also interested in ROH but please tell us how you felt you watched them for the first time. (Sekimoto) First time I watched was early ROH like Low-Ki and Bryan Danielson. I was so impressed and just said “Wow! This is amazing!” I thought their style is very similar to Japanese style and that’s the reason why I was into their wrestling. Then I wrestled for Wrestle Jam, Mochizuki (from DragonGate) told me that he respects ROH wrestlers so much as they wrestle for themselves, and not to get a deal for WWE. When I heard it, I was also impressed very much of their attitude as well. 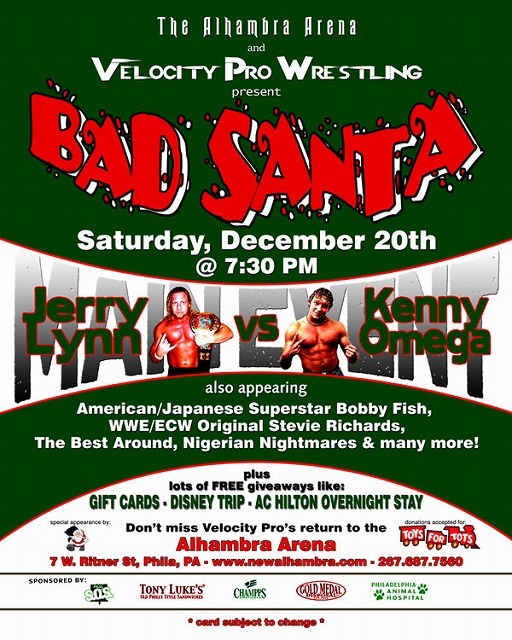 So I think ROH is the place to wrestle and it is one of my goal to wrestle at ROH. –We hope to see you here in the State more often. (Sekimoto) Thank you. I hope it will come true. We think Sekimoto is one of the power wrestlers who can compete in the States. Many wrestling fans expect high-flying, quick moves from Japanese wrestlers but he is different. His style is very orthodox Japanese style with power. We believe he can impress American fans with his wrestling so we really would like to see him more often in the States!